How far are you from Cedar Point? 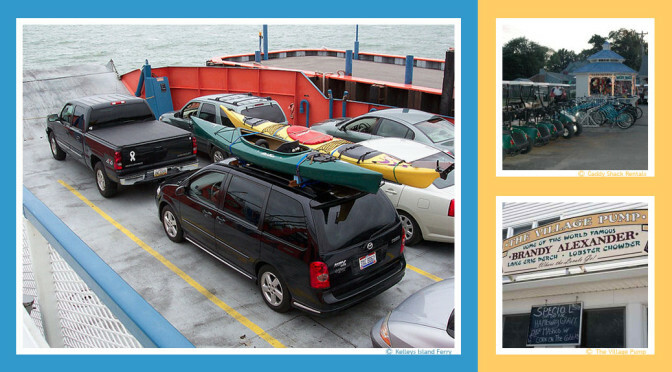 From Kelleys Island, getting there is half the fun aboard the Jet Express passenger ferry. Please see http://jet-express.com/ for schedules. It is recommend that reservations be made early in the year for best availability especially if you are staying during a a weekend. Can I take my car to Kelleys Island? Yes. You can transport your car to Kelleys Island via the Kelleys Island Ferry although most people prefer to bring their bikes or rent a golf cart. Parking is available at the mainland Kelleys Island Ferry dock. Can I fill my gas tank on Kelleys Island? Gasoline is available with a debit/credit card, 24 hours per day, 7 days a week. Quantities may be limited so we recommend you fill up before getting on the ferry. Is there a grocery store on Kelleys Island? The Kelleys Island Market offers fresh meats, a complete deli and grocery, as well as beer/wine carry-out. Do I need a drivers license to rent a golf cart? Is there a bank on Kelleys Island? No. There is no bank on the Kelleys Island. There is an ATM but we do recommend you come prepared. Can I get propane on Kelleys Island? Propane is available on an exchange basis only.